Themis Group has decided to focus all of its attention on its media properties, which include the award-winning The Escapist and its MMOG-centric sister site, WarCry Network. 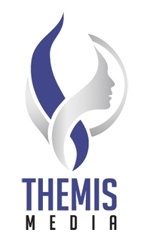 Themis Group, Inc. was previously made up of two distinct groups: media arm Themis Media and marketing arm TAP Interactive. The entire TAP team has been integrated into the media business, and will serve as the company's marketing and PR team. "We've experienced tremendous success over the past year and we need to reinforce that success," noted Themis Group President & CEO, Alexander Macris. "The support of the top-notch marketing team from TAP Interactive will ensure Themis Media maintains momentum into 2009 and beyond." The decision to focus on Themis Media came after 14 consecutive months of growth in monthly unique visitors, page views, video streams, and advertising impressions across Themis Media's properties, along with winning two Webby Awards.